Sale Vercelli, Italy, Casa d’Aste, Meeting Art, A. p. A., November 7, 2015, no. 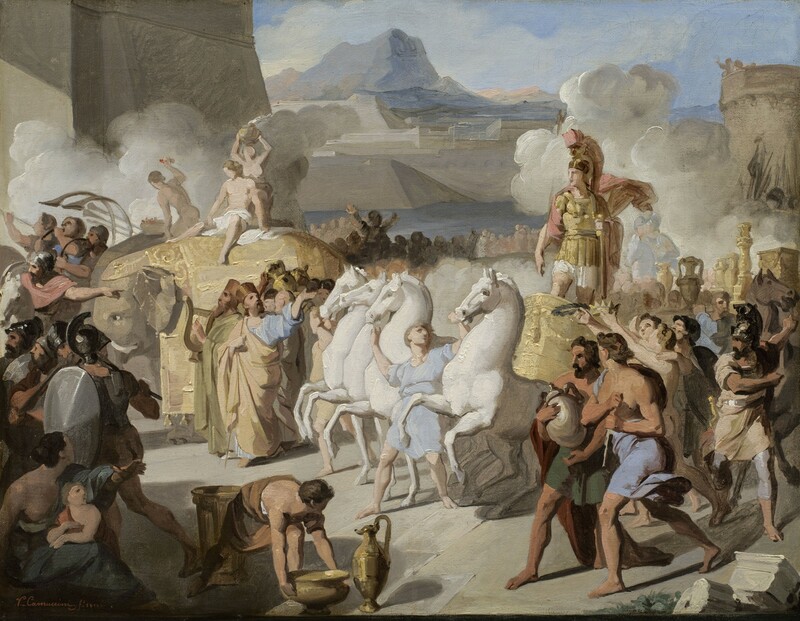 383.
of Camuccini’s works were devoted to scenes of Greco-Roman history. as Inspector of Public Paintings for Rome and the Papal States. uncovered the tomb of Raphael, it was Camuccini who was asked to record the findings. history that Camuccini derived from the reading of ancient texts. right format in the two drawings, he then shifted in this brilliant oil sketch to a right to left format. cape dramatically set against a cloud of smoke (fig. 8).